What more can a fella ask for listening to great tunes http://www.youtube.com/watch?v=5F-xOfeZPMw&feature=related and reading a great book with a bottle of red. Just what Friday nights were meant to be. This is a great book by Olda Fitzgerald and highlights 20 gardens within Ireland. They are well described with lovely images and sketch drawings of the outlay of each garden. 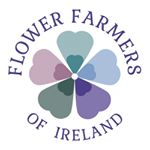 Down here in Co Cork we are fortunate to have 4 of the gardens including Ballymaloe Cookery School Gardens, Creagh, Ilnacullin and very local to here and may I once again say worth visiting Annes Grove. Not the cheapest of books but for the gardenaholics well worth it…..